Have you heard of PewDiePie? He’s an internet celebrity on the YouTube video platform that currently has over 54 million subscribers. He routinely pulls in several million dollars per year, and most of that money comes from advertising revenue that he earns on his videos. Each video can easily get several million views within a couple of days, and he currently has over 14 billion views across all of his videos. He is, by definition, a celebrity. But he’s not just any celebrity—he’s an online gaming celebrity. 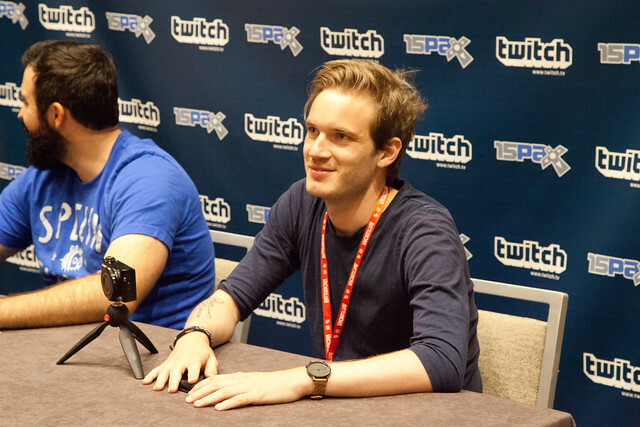 PewDiePie’s claim to fame is all about his gaming. He uploads videos here he plays games, criticises them and essentially does stand-up comedy in front of a camera. Whether or not you find it entertaining is, of course, up to your personal tastes. However, there’s no denying that his content is loved and enjoyed by people all over the world—54 million of them. 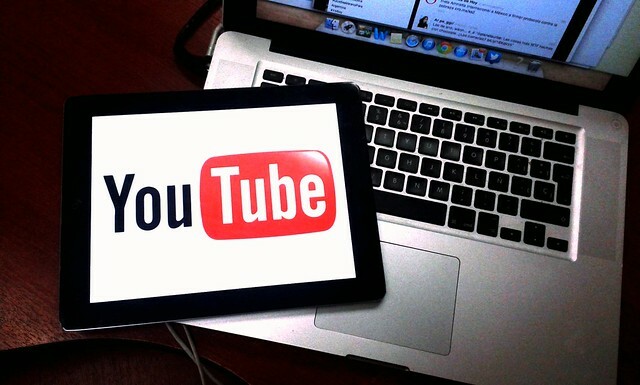 In other words, YouTube is a platform (among many others) that is being used as a way to breed online celebrities. However, with that power comes a lot of different responsibilities. PewDiePie has millions of people watching his content and they are typically teenagers or young adults. In other words, he holds a lot of influence over his viewers and whatever he says will easily get into the heads of the people that are watching his videos. This is why the media were up in arms after he released a video that displayed the words “Death To All Jews” and laughed about it. It’s important to note that many different news publications took his video out of context. The video was meant to show that people would be willing to do anything for money and it did a good job of explaining that point. However, it’s arguable that the message given was a little tasteless and possibly even offensive, but the main point to take away here is that this video was shown to millions of young adults and teenagers that see PewDiePie as a source of influence. There’s the matter of freedom of speech when it comes to saying things on the internet. People are more willing to speak their minds, they’re more willing to use racial slurs and scream offensive comments, and the feeling of anonymity helps them get their point across with little to no repercussions. This is known as the online disinhibition effect, the feeling that when you’re using the internet, you can forget about social norms that are applied to you in the real world. It’s easy to see this effect when you visit websites such as 4chan or Reddit, where people use different names to shield their identity and would converse about and say things that would not be acceptable in real life. With the advances in technology that we are seeing recently, it’s no wonder that online celebrities are becoming more and more popular. You can simply talk about something to a camera, upload it to Facebook or YouTube, and your video could be shared to millions of people on the internet. Do you prefer speaking to a live audience? Then broadcasting platforms such as Twitch.tv offer you a way to interact with viewers live while you play a game or go about your daily life. It’s easy to make them look professional too. There are many Twitch banner template downloads available to pretty up your broadcasting page with beautiful graphics and clean fonts, and there are also dedicated services that will help you promote and design layouts on your broadcast to improve its quality. In fact, almost anyone with a fast enough internet connection can start broadcasting something on Twitch.tv and get viewers in a mere matter of minutes. As long as you’re doing something trendy or you have a great personality, you’ll get plenty of people coming back to watch you and speak with you. This effect snowballs, and if you put in enough time, then you could become a top broadcaster that pulls in 20 to 30 thousands viewers every night to make a living. So whether you want to record and edit videos and upload them to YouTube, or if you want to broadcast to a live audience and interact with them, there are many options available to you thanks to the technology we have available. Recently, another online celebrity by the name of JonTron has also come under fire for racist comments. The media storm started with JonTron, or Jon Jafari, tweeted out a message that supported the Dutch far-right politician Geert Wilders. It was further compounded when he was invited to an internet talk show where he further explained his points, mentioning points about mass immigration and displaying his anti-immigration views. The entire situation caused JonTron to lose a couple thousand subscribers on his YouTube channel but ultimately didn’t make a dent because the gap was quickly plugged when more people rushed to his defence. The thing to learn here is that there is a divide between what is socially accepted in different communities and what is accepted as a whole on the internet. Unlike countries, there are no borders or barriers that separate one person from another on the internet. It’s a cultural melting pot and, as a result, has spawned some very unique personalities and standards that can’t be applied to the real world. What we’re seeing here is the birth of a new form of celebrity, but also the problems that come with a celebrity who has online been exposed to online culture and not real-world media. If you step out of line and say something that would offend even a small percentage of viewers or people, then you will undoubtedly receive backlash from the media. Online celebrities need to embrace the idea that they’re slowly becoming real-world celebrities as well due to their influence on millions of people around the world. They can’t speak what’s on their minds forever, and that’s something they will have to accept if they want to grow their brand and stay out of trouble.